The harp has always been an oddity in jazz music. Its two most notable practitioners, Alice Coltrane and Dorothy Ashby, were most active decades ago; both musicians had roots in postbop forms and found fascinating ways to translate the cascading sounds associated with the classical instrument into rhythmically elastic settings—though each eventually embraced more contemporary modes rooted in soul, funk, and, for Coltrane, Indian music. 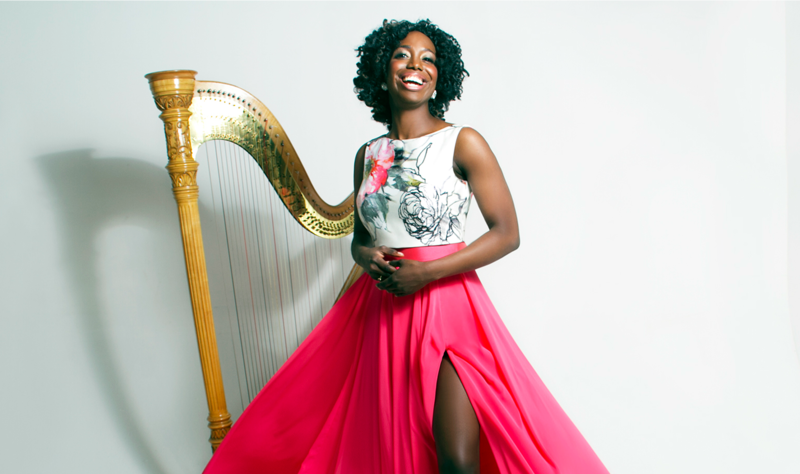 Later recordings by both harpists became primo sample material in hip-hop culture, and it’s partly through those records that Brandee Younger (who studied classical music at the University of Hartford) discovered Ashby, whose work became one of her primary musical influences. Since 2007, when Ravi Coltrane asked Younger to perform at his mother’s memorial service in New York, she’s been slowly but steadily attracting attention, playing and recording with the likes of Common, Man Forever, John Legend, Jeremy Pelt, and Moses Sumney. Younger’s self-released 2016 album Wax & Wane, which includes a couple covers of songs from Ashby’s 1968 classic Afro-Harping, was produced by Casey Benjamin, a reedist and singer who’s often worked with Robert Glasper, a prime mover in the marriage of jazz and hip-hop rhythms. Despite the record’s harder rhythmic feel, it clearly builds on Ashby’s forward-looking ideas, and its compact production—along with the taut, funky drumming of Dana Hawkins and the tightly coiled lines of electric bassist Dezron Douglas—suggests the feel of music produced by J. Dilla, while the front line of flutist Anne Drummond and saxophonist Chelsea Baratz ground the music in the sound of 70s spiritual jazz. Younger roams more freely in her improvisations than Ashby without forsaking the jazz great’s plush melodic touch. She leads her working quintet here, with the great E.J. Strickland taking the drum seat.